This is a secure website built through Shopify, you can see all the photos, read the descriptions and also buy the bears direct from our site without going through Etsy. We also have our traditional bears, greeting cards and patterns, we will be adding some vintage bears, teddy bear books and bear making supplies in due course. Please have a look at our new website and have fun! 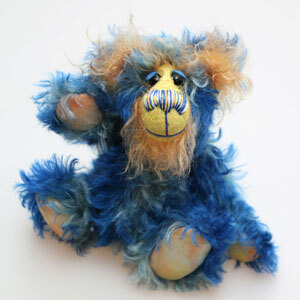 We will still have our bears in our Etsy shop, where you can see their photos and their full descriptions, it is also easy to buy the bears directly through the shop....if you don't know Etsy it's a great place to find all sorts of hand made things, from teddy bears, to jewellery, clothes to vases. 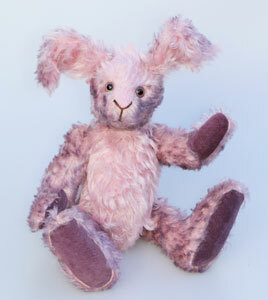 A pleasant change in this world of mass production. All the bears we sell from the website come with some photos of your bear, we can also enclose a Birthday card, Christmas card or a Valentines day card, Mother's Day Card just let us know when you are ordering. 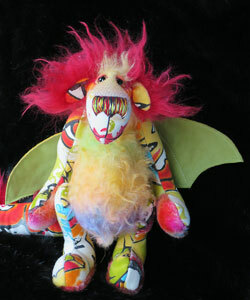 Melly stands 10.5 inches( 25 cm) tall and is 8 inches (20 cm) sitting. 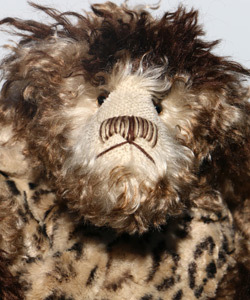 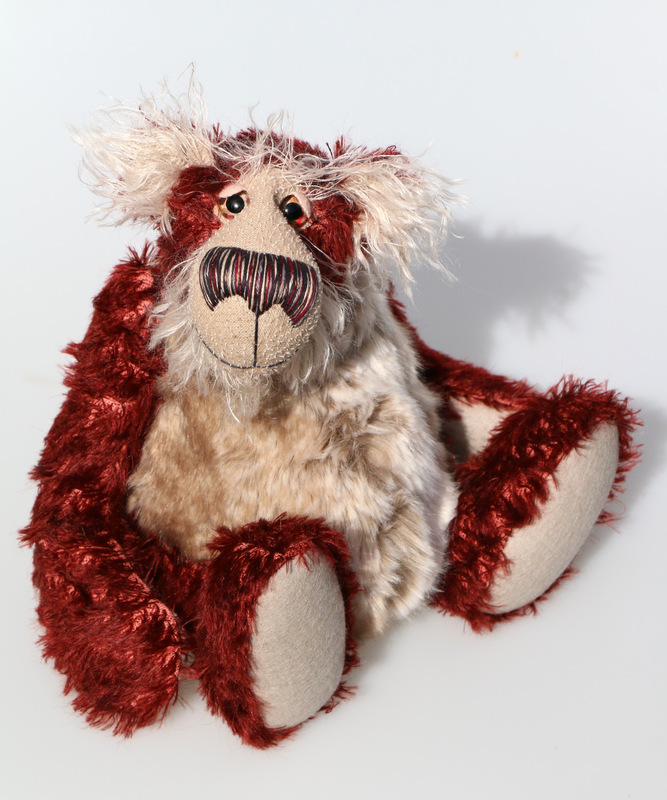 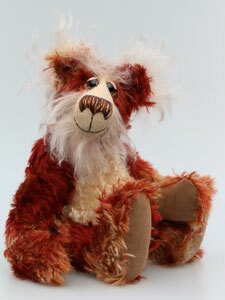 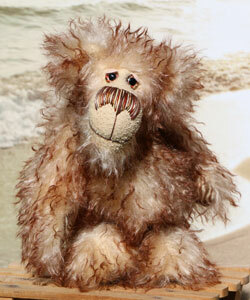 As with all our bears, Melly is not a toy, he is an adult collector's bear and unsuitable for children under 14. 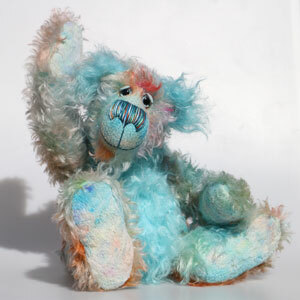 Wowzer, an exceedingly vibrant, happy and colourful, one of a kind, artist teddy bear in hand dyed mohair and faux fur by Barbara-Ann Bears. Wowzer stands 11 inches (28 cm) tall and is 9 inches (23 cm) sitting, this doesn't include her shock of wild hair which adds another 2.5 inches (6cm) to those measurements. 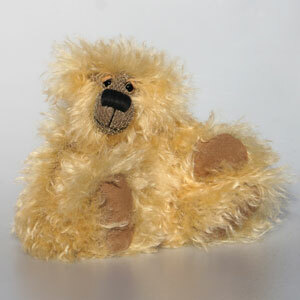 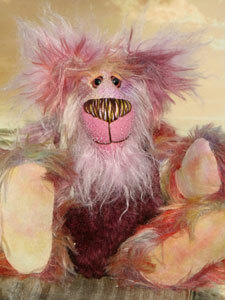 As with all our bears Wowzer is not a toy, she is an adult collectible and unsuitable for children under 14. Borodin stands 11 inches( 28 cm) tall and is 8 inches (20 cm) sitting. As with all our bears Borodin is an adult collectible and unsuitable for children under 14. 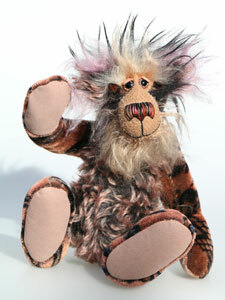 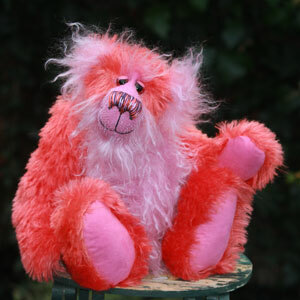 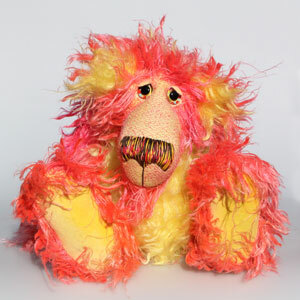 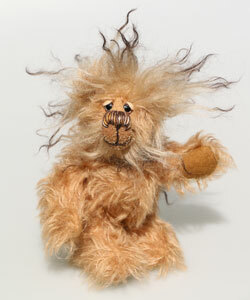 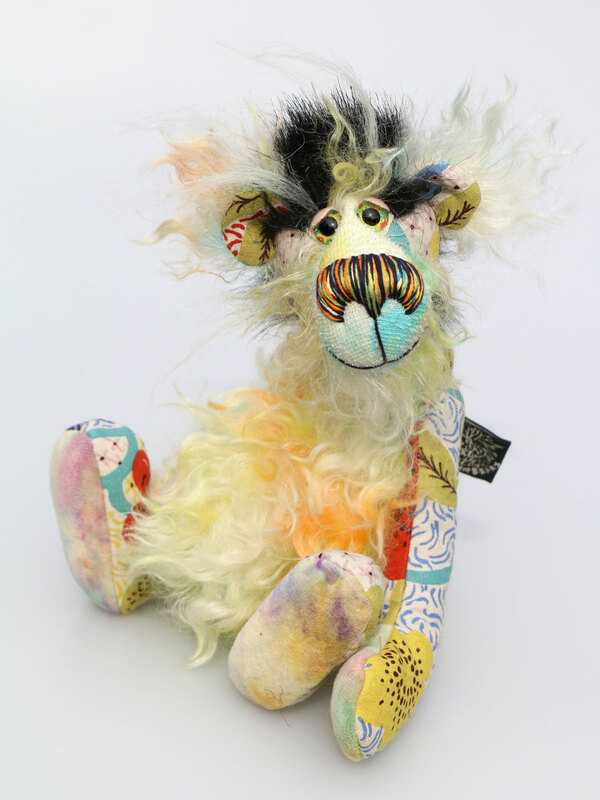 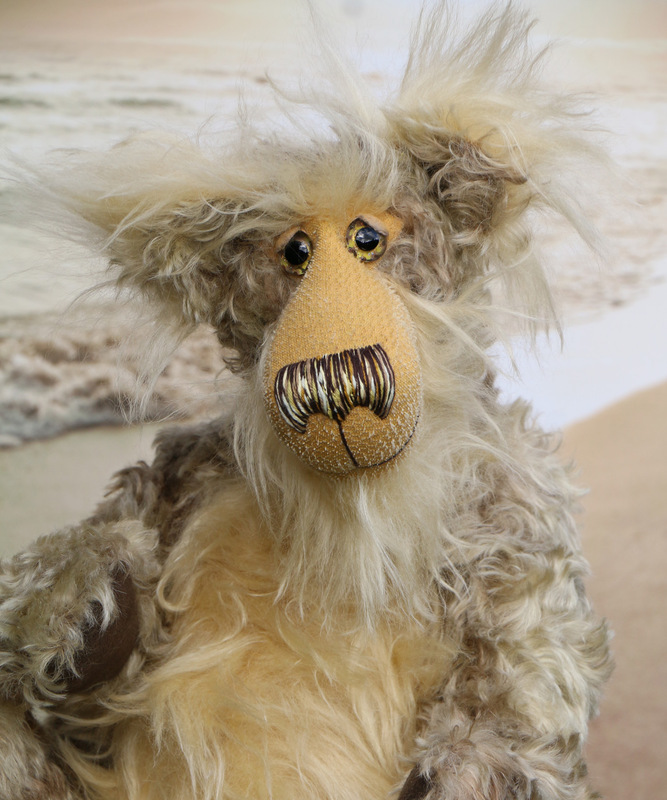 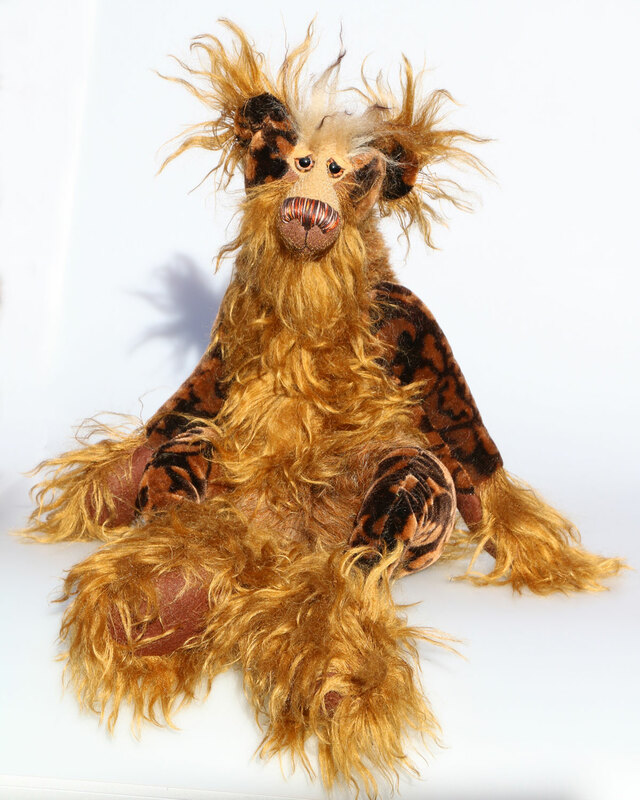 Stripy Pete is a cheerfully comical and contagiously friendly, one of a kind, artist teddy bear made from wonderful mohair by Barbara-Bears. 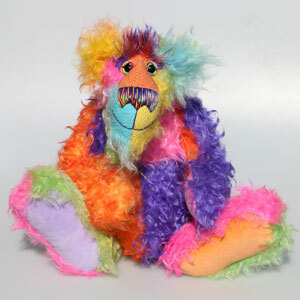 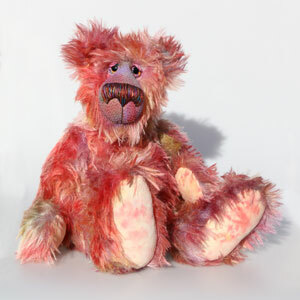 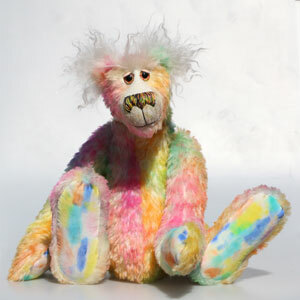 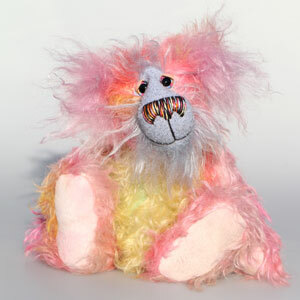 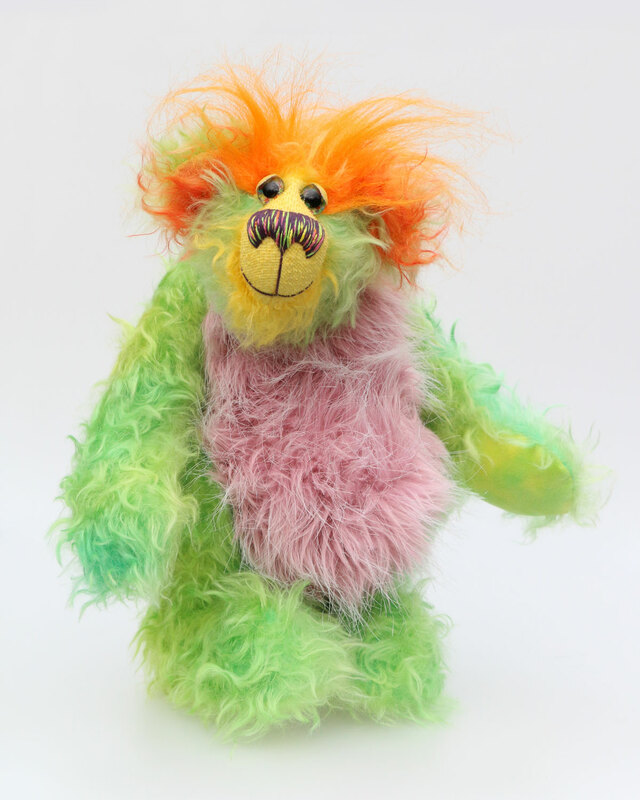 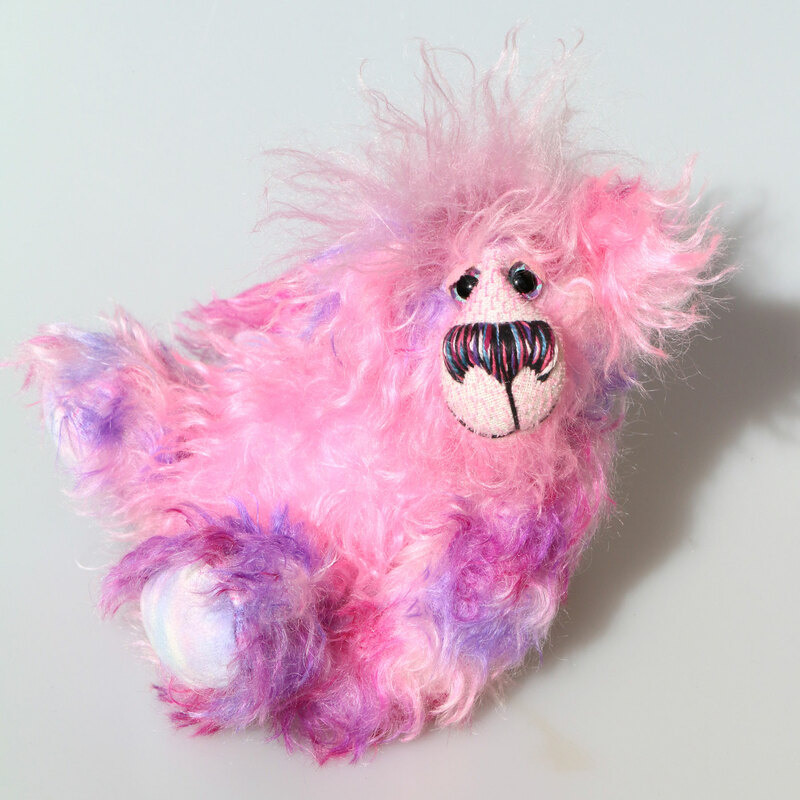 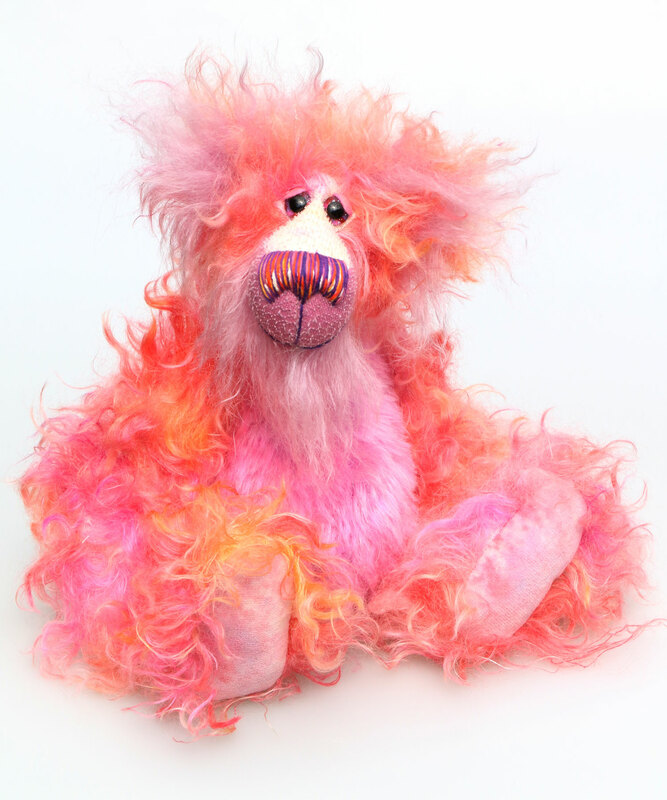 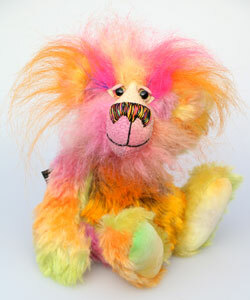 Suzy Sizzles, a cuddly, comical and colourful, one of a kind, artist teddy bear in gorgeous shaggy hand dyed mohair by Barbara-Ann Bears. 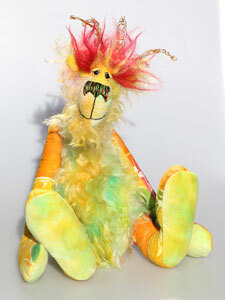 Suzy Sizzles stands 14.5 inches (37 cm) tall and is 11 inches (38 cm) sitting. 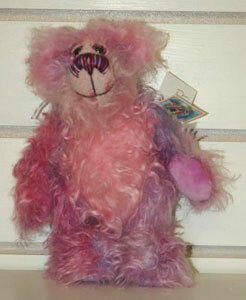 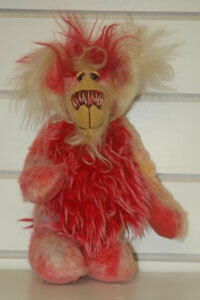 As with all our bears Suzy Sizzles is not a toy, she is an adult collectible and unsuitable for children under 14. 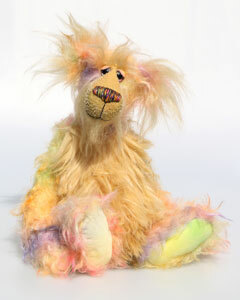 Zelda, Vlad and Carotene, a whimsical and unique trio of loveable characters in gorgeous hand dyed mohair by Barbara-Ann Bears. 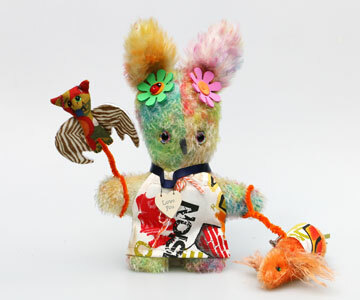 Zelda Bunny stands stands 8.5 inches (21 cm) tall, not including her ears which add another 3 inches (7.5 cm), Vlad is 3.5 inches (8cm) tall and has a wingspan of 4 inches (10cm) and Carotene is 6 inches (15cm) long including her green sprouts. 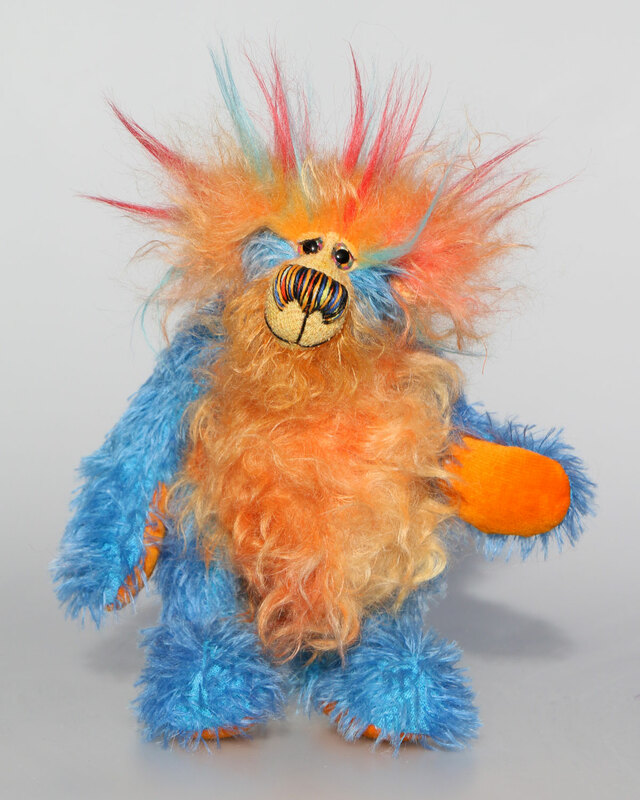 As with all our creations Zelda, Vlad and Carotene are not toys, they are adult collectibles and unsuitable for children under 14. .
Jim Drimble stands 7 inches( 18 cm) tall and is 5 inches (13 cm) sitting, this doesn't include his plume of long hair which adds 3.5 inches (9 cm) to those measurements. 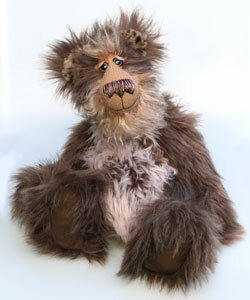 As with all our bears Jim Drimble is not a toy, he's an adult collectible and unsuitable for children under 14. We're very proud and pleased for our bears to be available again in the historic and beautiful town of Ironbridge on the banks of the River Severn. 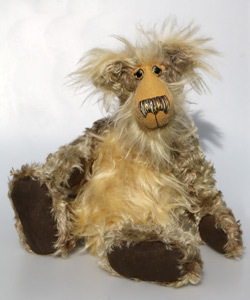 The shop is now run by David Jackson who has been a bear collector for about 20 years, please have a look at his website and if you're in the area please visit his shop and enjoy the surrounding World Heritage Site. You can call David on + 44 1952 01952 433924 . 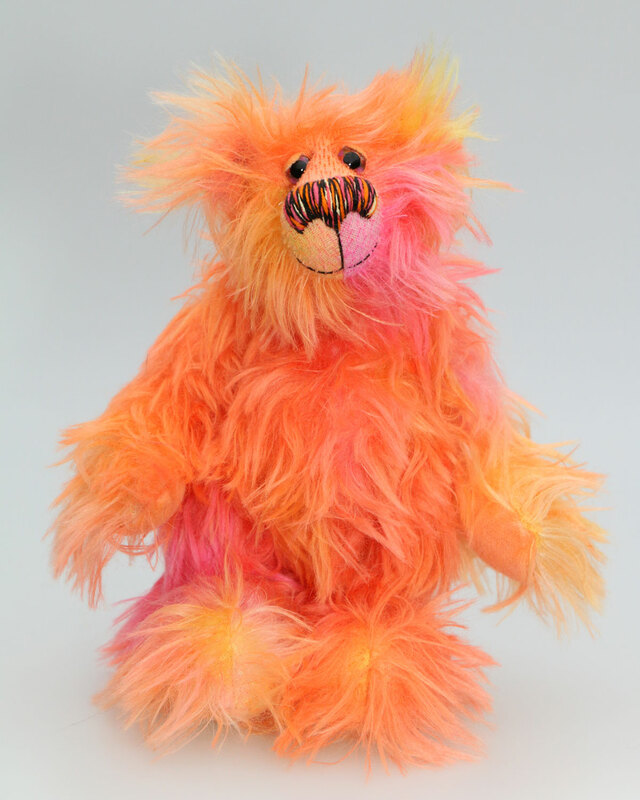 These bears are now at Drakesbrook Antiques in Waroona, Western Australia, to order any of the bears or check on availability please follow this link Drakesbrook Antiques Website or call +61 (0) 8 9733 1240 to speak to Bill or Malar who will be very pleased to help you. These bears are now at Teddies Den of Grimsby, to order any of the bears or check on availability please follow this link Teddies Den Facebook Page or call +44 (0) 1472 505064 to speak to Kirsty or Steve who will be very pleased to help you.